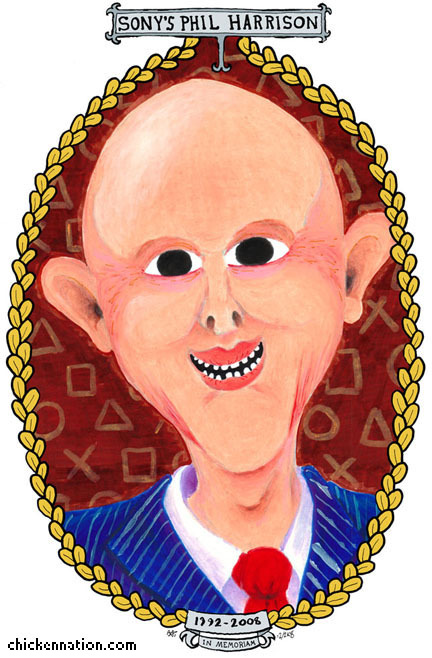 Made for EEGRA — a caricature of Phil Harrison, a figure in the videogames industry. It is a cruel caricature. I did not like the fellow.